The unusual behavior has authorities concerned. A pack of wolves in Wyoming has apparently slaughtered a herd of 19 elk in one night, apparently just for sport. Most of the elk were calves, and were found dead near a feeding ground southeast of Jackson, Wyoming, according to a CNN report. A contractor was delivering feed to the herd when he found scores of the dead elk. It’s a concerning find for authorities, as wolves are not known to hunt for sport. If they kill, they eat it or come back later for the carcass. 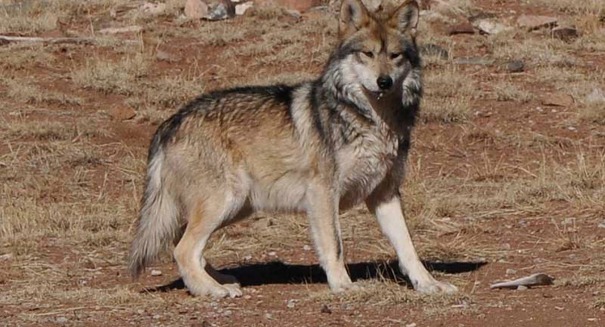 Authorities think about nine wolves were involved in the slaughter. Wolves have been blamed for taking down 7 percent of the elk population, which numbers about 1,100 elk in the area. This slaughter is a concern for wildlife managers, who wonder what this could mean for elk populations. Since wolves are federally protected, nothing can be done by wildlife officials except to monitor the situation. The U.S. Fish and Wildlife Service had almost taken wolves off the endangered list back in 2012, but a federal judge blocked the move in 2014, preventing the state from allowing regulated hunting of the wolves. The feds could kill wolves attacking livestock, but wildlife like elk is fair game. John Lund of the Wyoming Game and Fish Department said according to the report that wildlife managers would be closely monitoring the situation. Wolves themselves were once nearly extinct before being reintroduced to Yellowstone National Park back in the 1990s. Since then, the wolf population has been growing, but it remains an endangered species.